Who else loves the hustle and bustle at this time of year? Everyone is happy, the shops are packed, and the town looks beautiful all lit up with the Christmas lights. Strabane has never been so buzzing and it’s brilliant to see. While it’s great to see the shops doing so well, and our local community thriving, sometimes it’s not all about stressful present shopping. Christmas is also about the experiences and spending some quality time with your nearest and dearest. 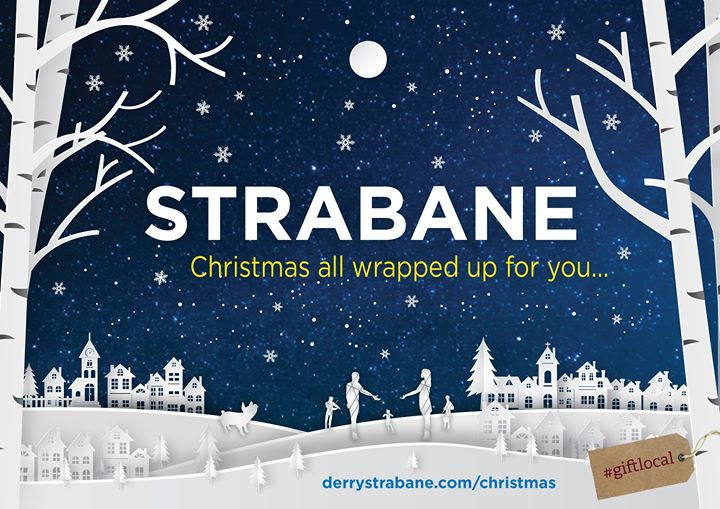 Strabane has loads of opportunities to get together with friends and family. We’ve come up with some of the best social experiences in the town. On performance nights, The Alley Bar will quench your thirst during your favourite shows with an extensive selection of beers, wines, spirits and local craft beers. While you’re there, you could check out Studio 1 Craft Collective and pick up a personal present. If you’re looking for a souvenir or a unique gift, look no further than Strabane Craft Collective. It offers a diverse range of handmade crafts including jewellery, prints, baby gifts, scented candles, sculptures and lots more. Christmas is the perfect time to get together with friends and family who you’ve missed throughout the year. And what better way to do that than over some good food and a social beverage? Strabane has loads to offer when it comes to eating and drinking, with Oysters and Murphy’s on the Green just around the corner. Why not catch up with old cousins or school friends over a nice bite to eat? There is no better time than this festive season. Christmas can be a hectic time of year, and it’s hard for those Mummy and Daddies or Granny and Grandas to get time to themselves. The perfect present might just be a the InStrabane gift card for their dinner and spend some time celebrating alone – the perfect Strabane date night. If you’ve eaten too much and can’t face another turkey and ham dinner, there are plenty of watering holes around the town to help you wash it down. Grab a pint with your old mates or dance the night with the girls. Filled with loads of festive cheer, Ruby’s is the place to be this Boxing night and New Year’s Eve. Sometimes presents are more about experiences rather than physical things. Surprise your loved ones with a weekend away or a summer holiday in 2019 – I’m sure the smile on their face will be worth it. With their brand-new website, you can browse online or call in store to discuss travel options with one of their travel experts. A beautiful bottle of wine or a box of chocolates is the perfect last-minute present. We all have those people who call round with their already-wrapped presents, and you have nothing to give back to them. Nip out to your local SuperValu and pick up a bargain – crisis averted! Strabane have loads of scrumptious cafes to indulge in. A marshmallow-filled hot chocolate is a perfect excuse to catch up with friends or treat the kids. Call into Café Scoop or Café Fresco and tuck into a lovely traybake or piece of cake. It is the season for eating, after all. December 20th is the last day to order your InStrabane Gift Card online for a timely Christmas delivery. Alternatively, you can pick up your gift cards at Caffe Fresco or The Alley Theatre up to 3pm on Christmas Eve.